An independent school is a school that is independent in its finances and governance; it is usually not dependent upon national or local government to finance its operations, nor reliant on taxpayer contributions, and is instead funded by a combination of tuition charges, donations, and in some cases the investment yield of an endowment. It is typically governed by a board of governors that is elected independently of government, and has a system of governance that ensures its independent operation. In England and Wales, the more prestigious independent schools are known as "public schools", sometimes subdivided into major and minor public schools. A common definition of a public school relates to membership of the Headmasters' and Headmistresses' Conference, and this includes many independent grammar schools. In Scotland, schools not state-funded are known as independent or private schools. Independent schools may also be specialist or special schools - such as some music schools, Steiner Waldorf Education schools, or special education schools. A preparatory or prep school (or prep school) is a fee-paying independent primary school that caters primarily for children up to approximately the ages of 11 or 13. The term "preparatory school" is used as it prepares the children for the Common Entrance Examination to get them into aindependent secondary schools. Pre-prep is the term used for independent schools up to the age of 7 or 8. The staff have smaller classes so they can assess each child on a day to day basis. They can set work for the quicker students while having time to explain procedures to less mature students in a different manner. There will be regular assessment and testing, and reporting to parents so that parents and children are kept informed of progress. Everyone will be expected to conform to high standards in appearance, manners and attitude. This means that in a carefully controlled environment a high set of traditional values ensues. There will a great variety of choice in both sport and leisure activities. There will be the expectation to do well and team support if this is not always achieved. The schools will have excellent facilities and all pupils will have the opportunity to use them. There will the opportunity for closer parent/teacher relationships as the numbers in school and in classes are smaller. All parents will be advised immediately if there are any concerns regarding their children so that the partnership continues to work. Each child will be able to fulfil his/her own potential both academically, socially and creatively. All schools should have prospectuses, often available online, and after reading these it is always wise to visit the school and meet the Headmaster or Headmistress. You need to feel happy with the ethos of the school, the accommodation and the environment for both you and your child. Please talk to other parents in your area. They will tell you their experiences and then you can make a more valued judgement. Independent Schools Council The Independent Schools Council information & advice service (ISCias) is the information and advice centre for all enquiries relating to independent schools. ISCias utilises local contacts and expertise, allowing schools access to the range of information and advice available from the ISC. 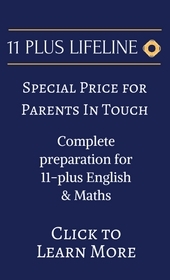 It also gives parents detailed advice on choosing and applying to ISC schools, as well as proving a central resource of printed and electronic material covering related areas such as special educational needs provision and assistance with fees. ISCias also provides information and advice to parents living overseas who are interested in finding suitable schools in the UK for their children.